There has been a couple of weeks passed on since the latest administration nuisance: Company Gate registration became available, and we released our first news about. Below we give a more detailed overview of Company Gate administration. Company Gate is an official storage space available to business organisations. According to the government plans it launches on 1 January 2018. This will provide official space for communication with government bodies, municipalities, authorities, courts and utility companies – in the spirit of simplifying administration. But why is it necessary if I already have magyarorszag.hu Client Gate access and my tax affairs go through that? Or if my accountant / tax adviser deals with this? The reason is that the Company Gate will be assigned to the company or business organisation; while Client Gate is linked to individual privates. Accordingly, communication through Company Gate means communication with the company, while communication through Client Gate means communication with an individual person. Apparently Company Gate will create a clear and direct electronic communication line to the company. Being said that it is also expected that types of affairs administrable via Company Gate will get extended in the future. Who needs to use Company Gate? Business organisations, which include companies, branch offices of foreign companies, and moreover civil organisations like associations, cooperatives, legal offices, foundation. Sole entrepreneurs will not switch to Company Gate, but still use their Client Gate. Subsequently all business organisations need to register themselves for the Company Gate service. This is to be done by 30 August 2017 or by latest 31 December. Missing registration by the end of August won’t result in any sanctions. Companies may register by entering their email availabilities for electronic communications. Note that registration can be executed by such a natural person who already has access to Client Gate or has electronic id card. If there’s no such representative, then the first step is to register someone by visiting the government office in person. At the same time, it has been confirmed that Company Gate registration can be executed by a representative owning proper POA document. These can be such as lawyers, administrators, company secretaries, accountants or tax advisers. The document of authorisation shall be attached at registration, and registering person shall declare with criminal responsibility that documents are true and valid. This can be an alternative solution for non-Hungarian resident directors who usually don’t have Client Gate access. There are different roles in Company Gate. 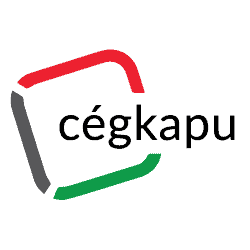 The company representative or „cégképviselő” is the person who executes the registration, and his role ends here. Later on you can appoint Company Gate users who will be able to send and receive documents in the future. At larger companies appointments shall be made carefully. Finally it’s very important to emphasize that you need an already operative email address. This will be required during the registration procedure. Bear in mind that you will need to keep an eye on the notifications arriving to that particular email address. Where can I register for Company Gate service? We cannot emphasize enough that Company Gate registration and Company Gate management is the sole and clear responsibility of each company and its directors, as official company communications will go through this channel. We BSPL are not providing secretarial services to our clients. Accordingly we are not able to accept appointments to Company Gate management.